How we make cars is a bigger environmental issue than how we fuel them. Around two billion cars have been built over the last 115 years; twice that number will be built over the next 35-40 years. The environmental and health impacts will be enormous. Some think the solution is electric cars or other low- or zero-emission vehicles. The truth is, if you look at the emissions of a car over its total life, you quickly discover that tailpipe emissions are just the tip of the iceberg. An 85 kWh electric SUV may not have a tailpipe, but it has an enormous impact on our environment and health. A far greater percentage of a car’s total emissions come from the materials and energy required for manufacturing a car (mining, processing, manufacturing, and disposal of the car ), not the car’s operation. As leading environmental economist and vice chair of the National Academy of Sciences Maureen Cropper notes, “Whether we are talking about a conventional gasoline-powered automobile, an electric vehicle, or a hybrid, most of the damages are actually coming from stages other than just the driving of the vehicle.” If business continues as usual, we could triple the total global pollution generated by automobiles, as we go from two billion to six billion vehicles manufactured. The conclusion from this is straightforward: how we make our cars is actually a bigger environmental issue than how we fuel our cars. We need to dematerialize — dramatically reduce the material and energy required to build cars — and we need to do it now. Thus, the prevailing marketing and policy focus on drivetrains (e.g. 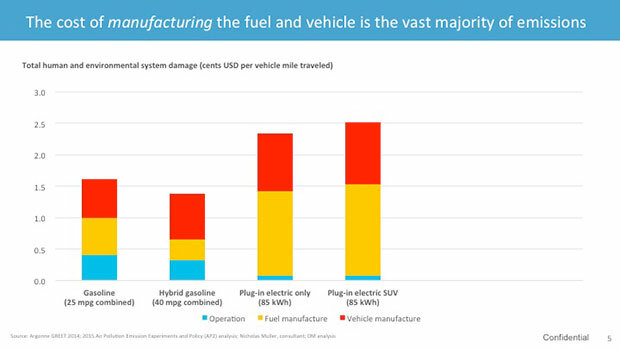 gasoline vs. electric) has clouded the debate and drawn attention away from the larger problem: the emissions and other environmental damage stemming from the manufacturing of cars. Democratization of car manufacturing: giving small teams a set of affordable tools to enable them to design, build, and scale a wide range of complex vehicle structures. Democratizing car manufacturing requires that small teams have a set of affordable tools enabling them to make cars of their own design. Such a tool set would empower people in car manufacture the same way Arduino empowered people in electronics. Arduino’s modular platform hides its complexity behind an easy-to-use interface, which created an explosion of hardware and software innovation. Because of Arduino, many of the latest tech products in the Internet of Things — from Kickstarter devices to home automation — have been built not by huge corporations, but by small, nimble teams. Divergent Microfactories set out to build an industrial-strength Arduino for cars — a kind of “Carduino.” The key enabling technology we’ve developed is what we call a “Node.” A Node is a 3D-printed alloy connector that joins aerospace-grade carbon fiber tubing into standardized building objects. This simple tool allows a small team to design and build car chassis that range from two-seat sports cars to pickup trucks. Just like the Arduino, the Node hides its underlying complexity behind a simple, easy-to-use interface. The Node-based chassis solves the bigger problems we set out to address. It drives both dematerialization and democratization. A traditional chassis can weigh more than 1,000 pounds, whereas Divergent Microfactories has built a prototype that weighs about 100 pounds (61 pounds of aluminum and 41 pounds of carbon fiber), and is much stronger and more durable. 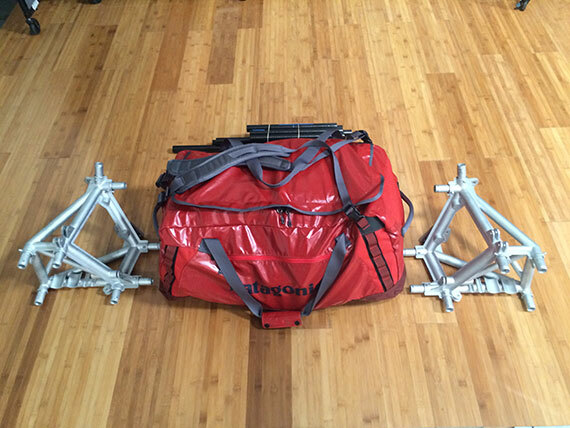 All of the nodes and carbon fiber tubing that make up a car chassis fit into the backpack in the photo below. The chassis requires dramatically less material and energy to produce. All of the nodes and carbon fiber tubing that make up a car chassis fit into this backpack. Image courtesy of Kevin Czinger. A dematerialized car is a greener, lighter, and safer car that can be made locally. It will cause less wear on roads and fewer fatalities in accidents. 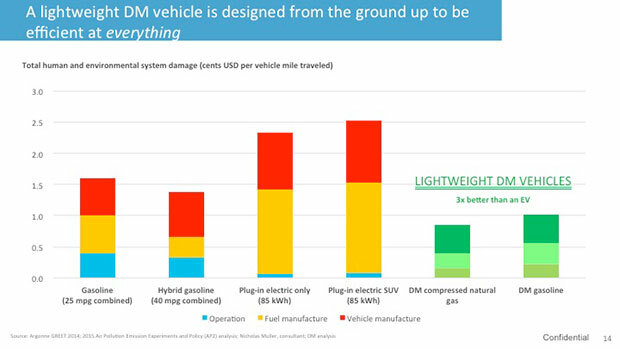 A super-lightweight car built with this technology generates only a third of the total health and environmental damage of an 85 kWh all electric car. The objective: drive that down to a quarter or less. And it can be made locally and built to last. The chassis in the time-lapse video below was assembled by hand in under half an hour (it could be assembled in about 15 minutes with a small robotic cell). A traditional car factory would cost hundreds of millions of dollars, but one of these micro-factories has a startup cost under $20 million and can produce up to 10,000 cars a year. If Divergent Microfactories centralizes Node manufacture, it may be possible to create microfactories that would cost less than $5 million to set up. Just as the PC democratized the computer industry and Arduino democratized electronics, Node-based car manufacturing could give small teams all over the world the tools to develop and build innovative new car designs that will meet the needs of local communities. You would no longer need to be a billionaire to design and build new cars at scale. Imagine hundreds or even thousands of small teams around the world, bringing real innovation back to the car industry for the first time in nearly 100 years through a network of pioneering teams. These teams would diverge and share, accelerating the pace of innovation, while protecting our environment — and then applying that knowledge to other complex structures. 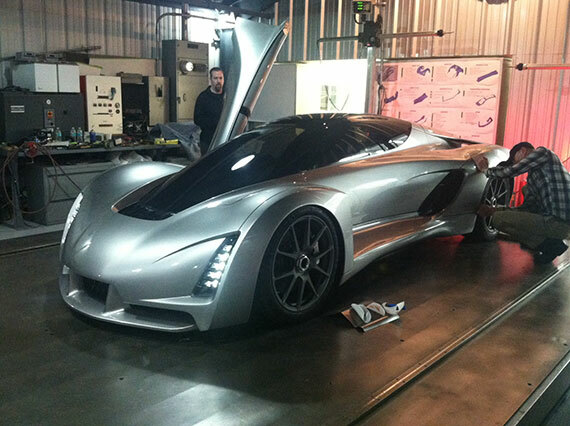 Here is the first living example of what can be achieved: the world’s first Node 3D-printed supercar. It has one-third the emissions of an electric car, one-fiftieth the factory capital cost, and twice the power-to-weight of a Bugatti Veyron. Node 3D-printed supercar. Image courtesy of Kevin Czinger. This post is a collaboration between O’Reilly and Divergent Manufacturing. See our statement of editorial independence. Public domain image on article and category pages via Internet Archive on Flickr.